These last few weeks I’ve slowly been losing momentum (gas power) with all the projects I have been juggling. 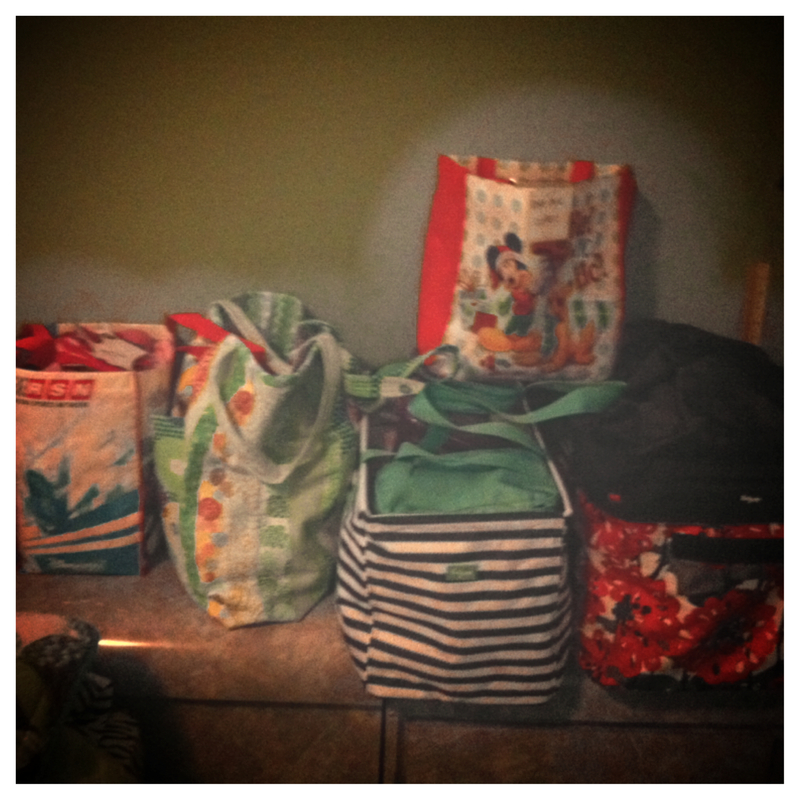 I spent Tuesday night re organizing all my projects into manageable containers. Although I didn’t take a before picture of my sewing/guest room, just imagine it looks like your craft space when you have 10 + projects going on! 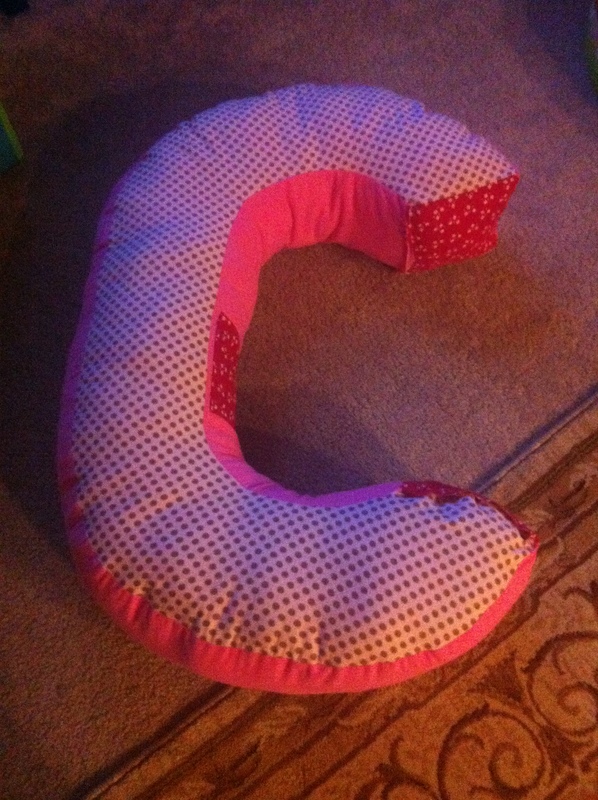 I did want to share a tutorial on this awesome XL Alphabet Pillow. My inspiration came from here but if I were to buy it it would come from overseas and this site didn’t ship to US! I’m the girl that always tries to get a bargain and this just isn’t one. I really wanted to make one for my niece who turned two in late February. 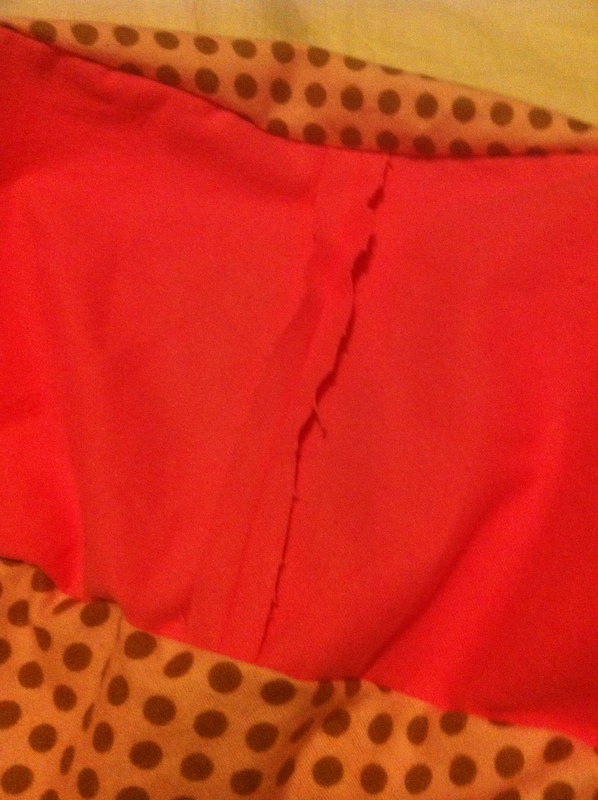 I had most of the fabric already which was nice. 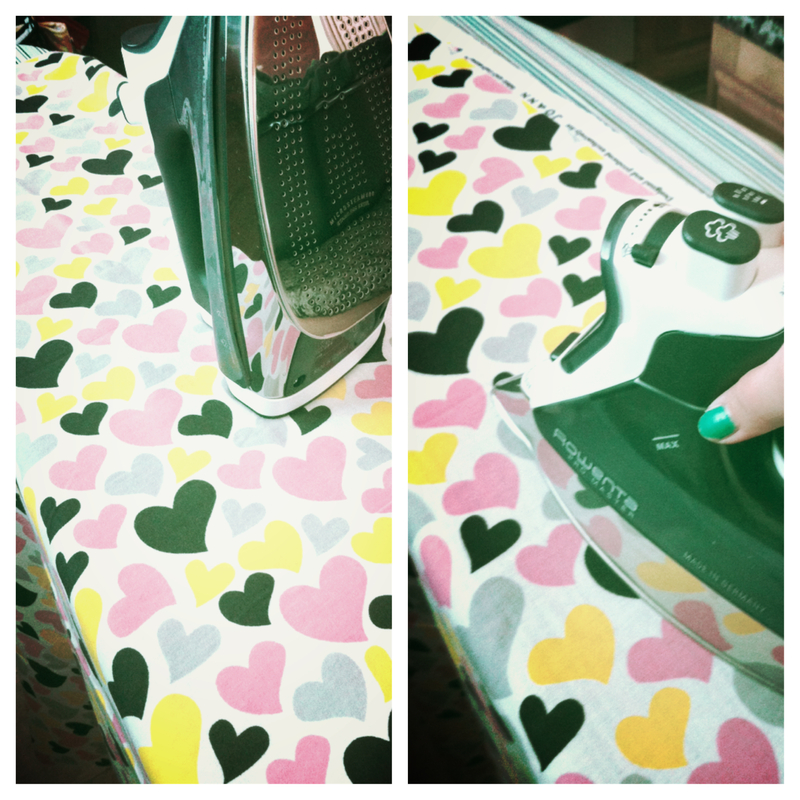 The hardest part was the pattern. 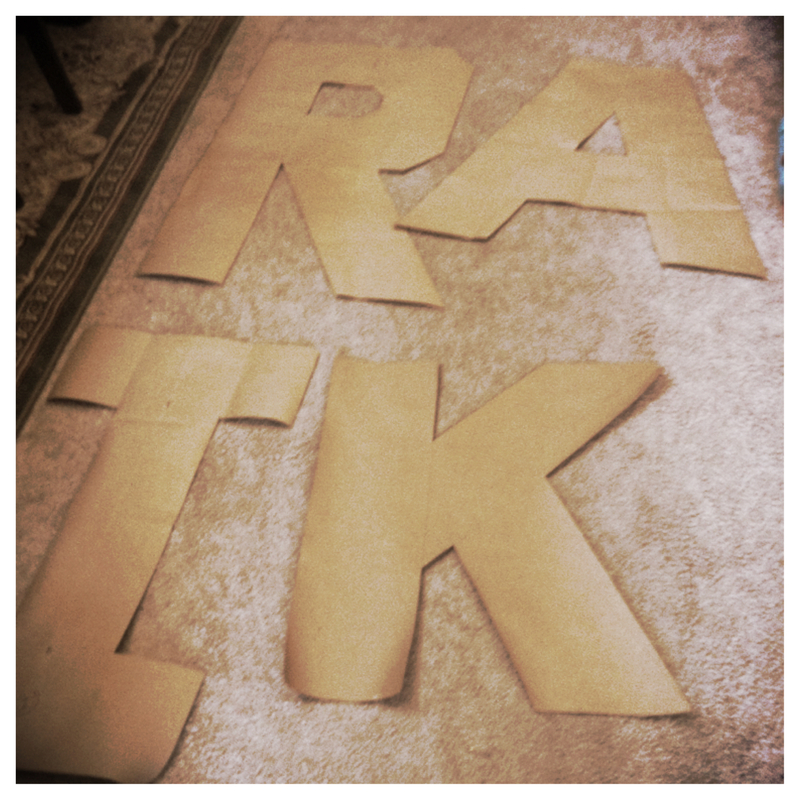 – Newspaper or butcher paper, I had this heavy butcher paper on hand from my mom. She left it with me and I love it. The only thing is that because its so heavy it kept rolling up on itself. Ironing the paper helped with that. – Pencil, I used a pen because I’m stubborn like that. I remember in high school I was taking a math test or something and using a pen. The teacher asked me if I wanted to use a pencil instead and I said “no, I’m good” I just prefer pens. I did learn my lesson with this project and I highly recommend using a pencil. 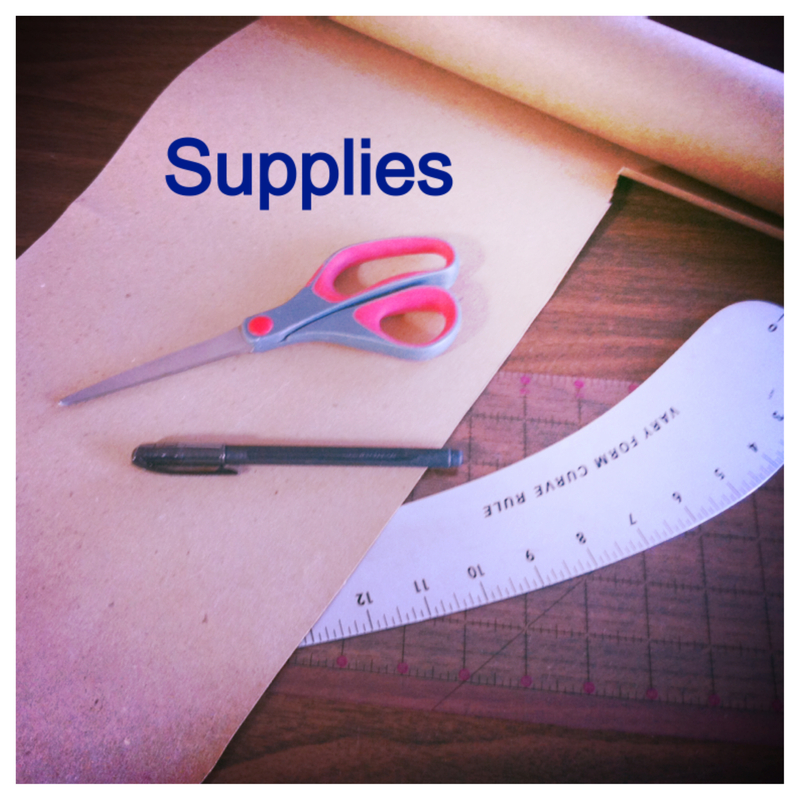 – Rulers: I have a straight 24 inch quilting ruler bought from Joann’s and the other curved arm ruler is from my mom. Luckily the letter I started with was simple “C” and didn’t discourage me too much from continuing. 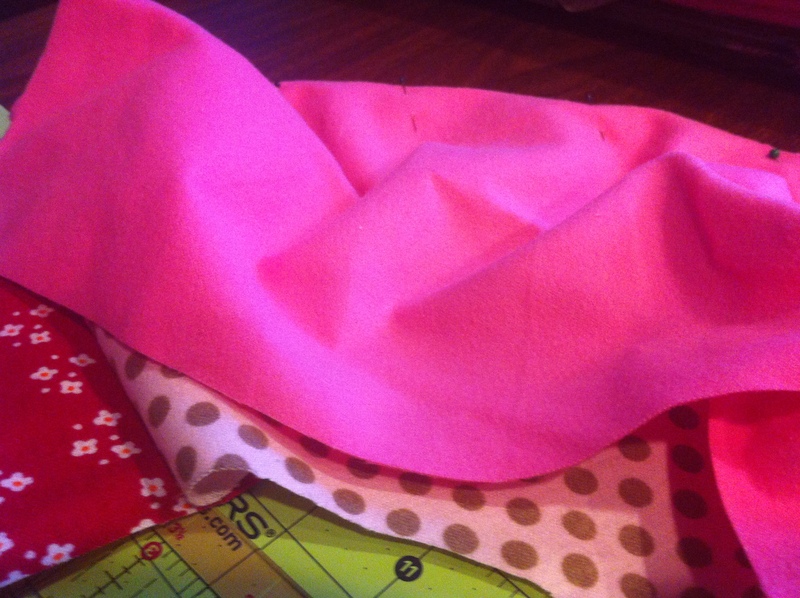 I decided to make the pillow 7.5 wide (with 1/4 seam allowance would bring it down to 7 inch wide). 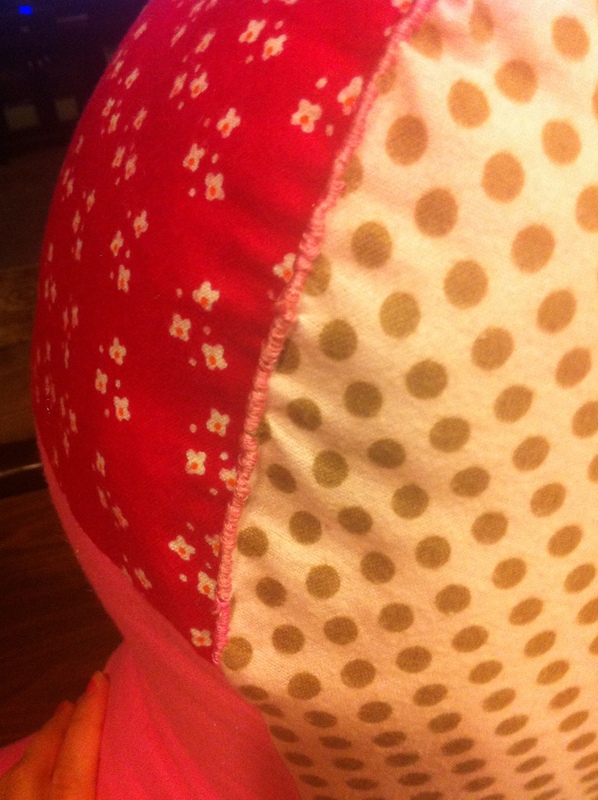 I had started with 5 inches, but it looked too narrow and I wanted a wider pillow. I tried to keep the height at 24, but some of the other patterns needed more length. I started by marking width of the C, drew out the curves using the bowl and arm ruler for the inner C. The outer C I measured 7.5 along the inner C and made tick marks. Then I connected the lines and it came out great! Sorry I don’t have a step by step picture for this part. 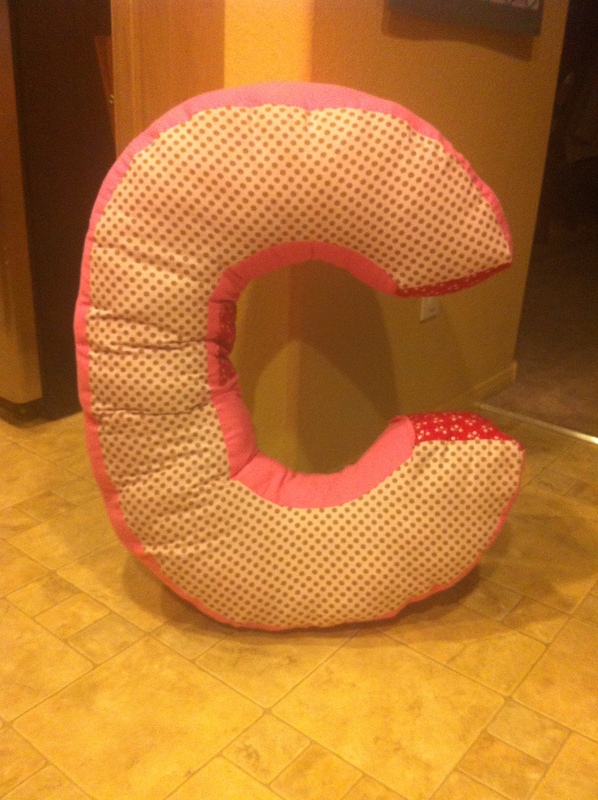 Unfortunately I didn’t take a picture of the “C” pattern, but as you can see from the above letter patterns, it looks humongous. my other patterns have a 7 inch wide margin, keeping in mind I would use 1/2 inch seam allowance and bring it to 6 inch wide. Joann’s had a great deal for about two weeks or longer on all their snuggle flannel. 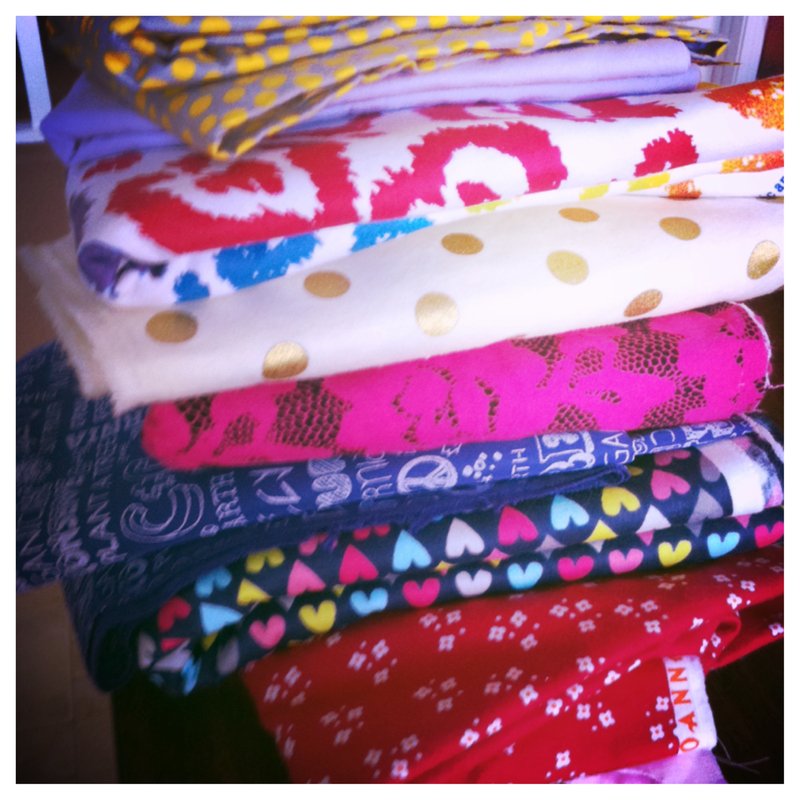 So I stocked up and look at all these yummy fabrics! 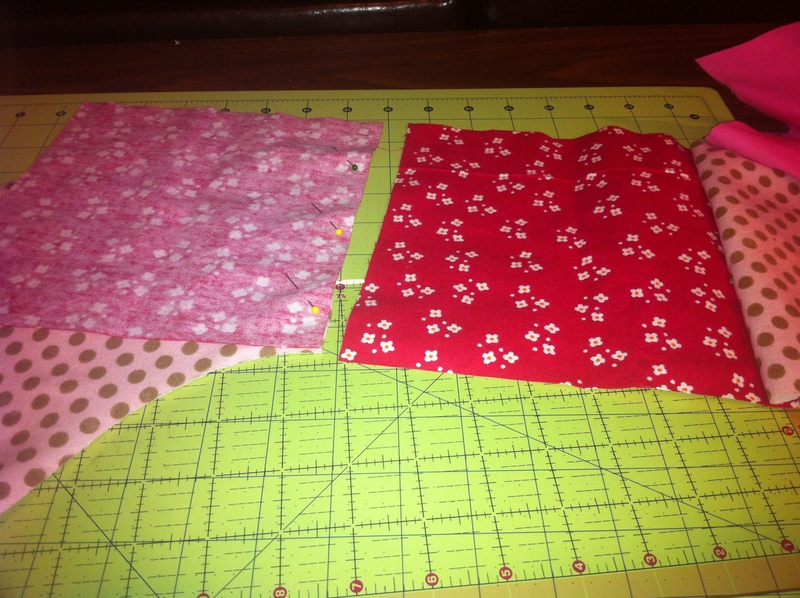 I traced the pattern onto a main fabric and then cut out 7 inch wide strips in another coordinating fabric. 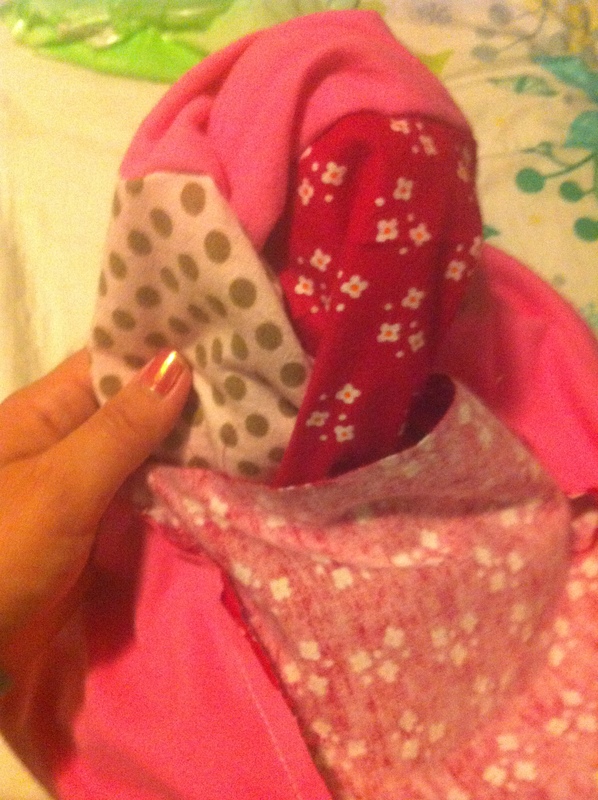 I also added a secret pocket in a cute fabric as well. 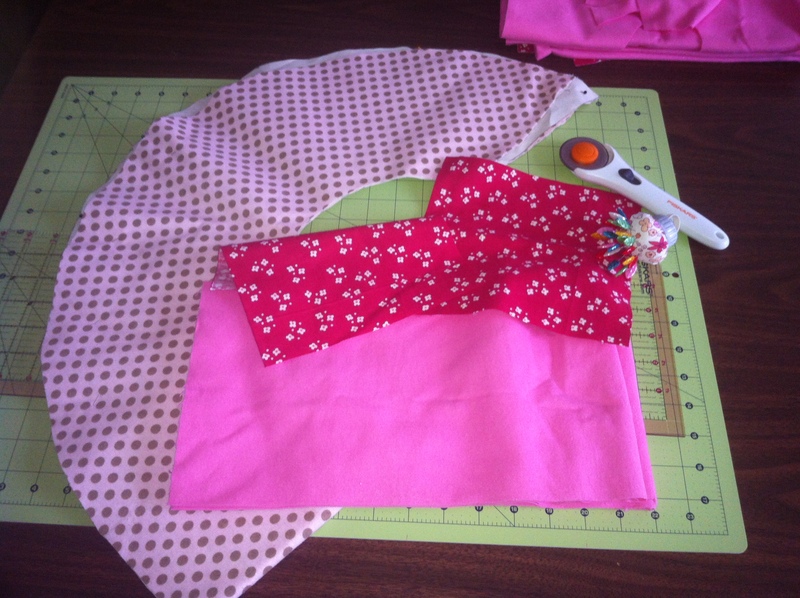 You can start by sewing your strips together. 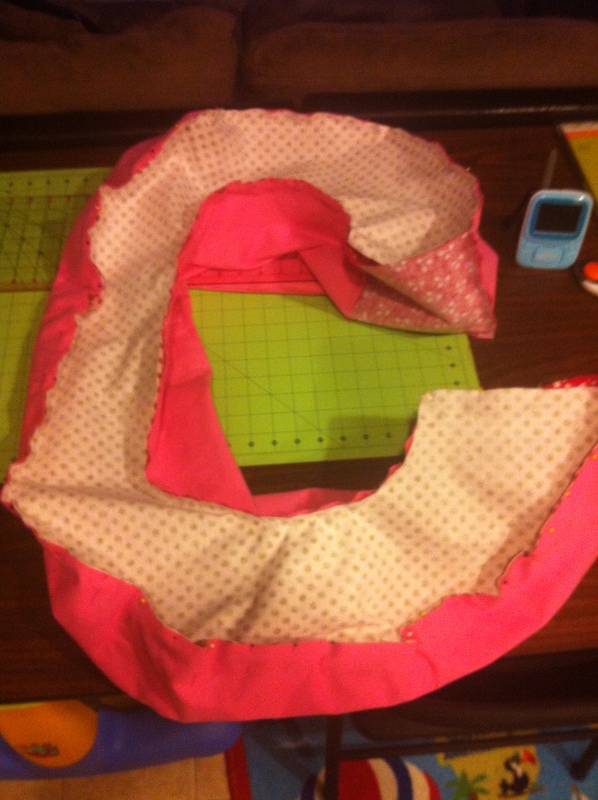 Then take the main fabric and pin to the strips going with the curve. 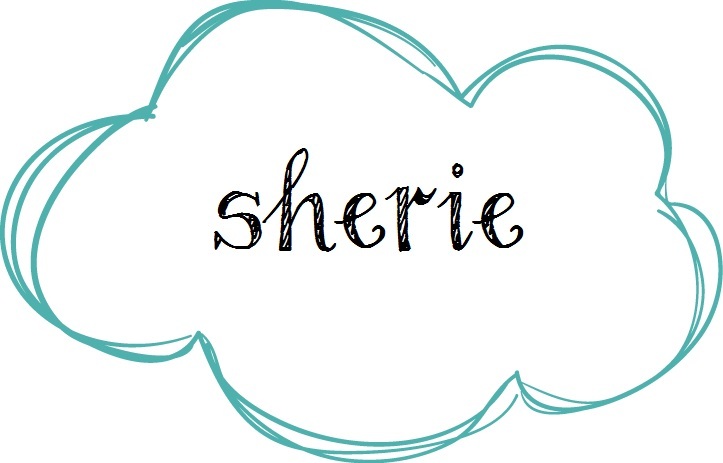 Here is a quick look at what I did. 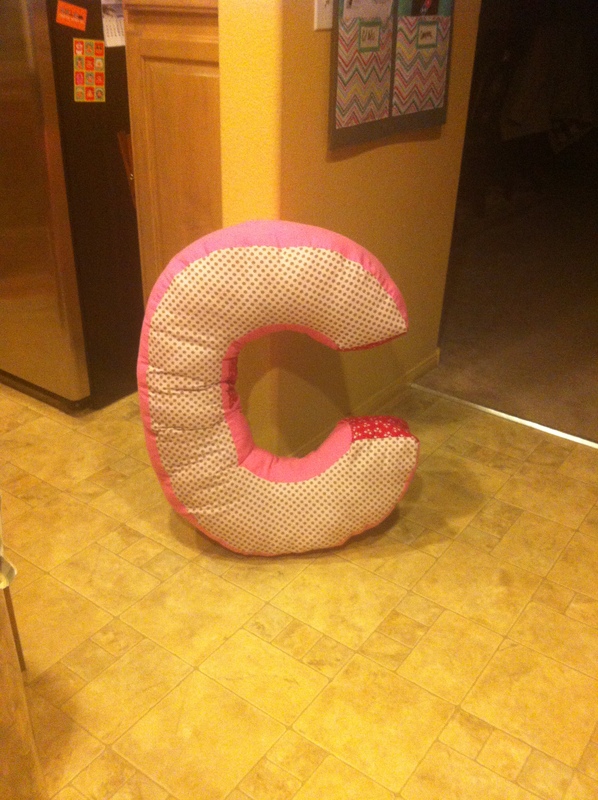 You have to make the fabric work with you on the curves but again the “C” was a really good letter to start with for me. 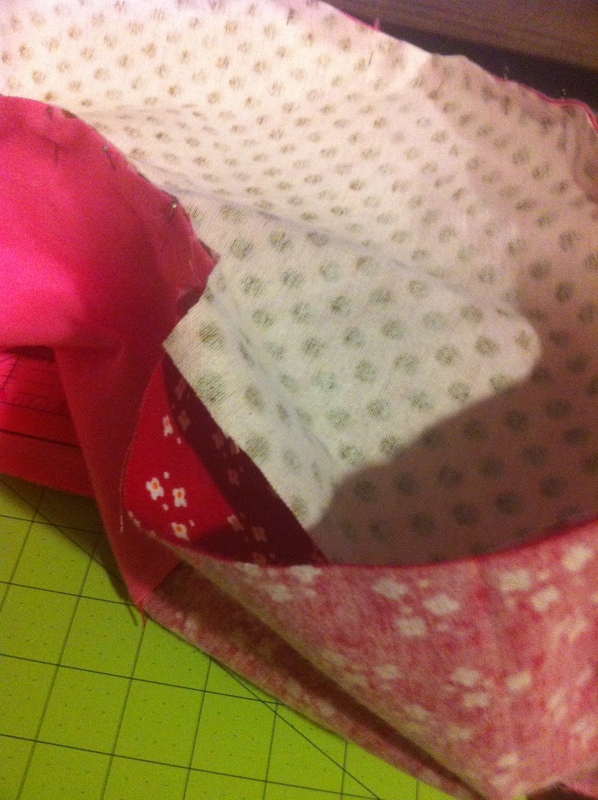 Leave an opening at one end cap and flip the fabric inside out. 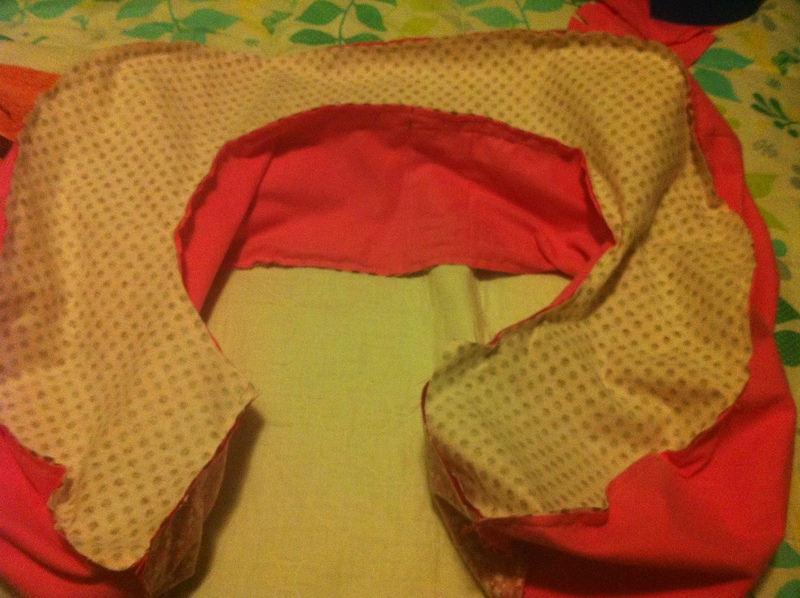 I did make a mistake with this initial pillow because the strips where sewn backwards and exposed the fray. Either way, it works. 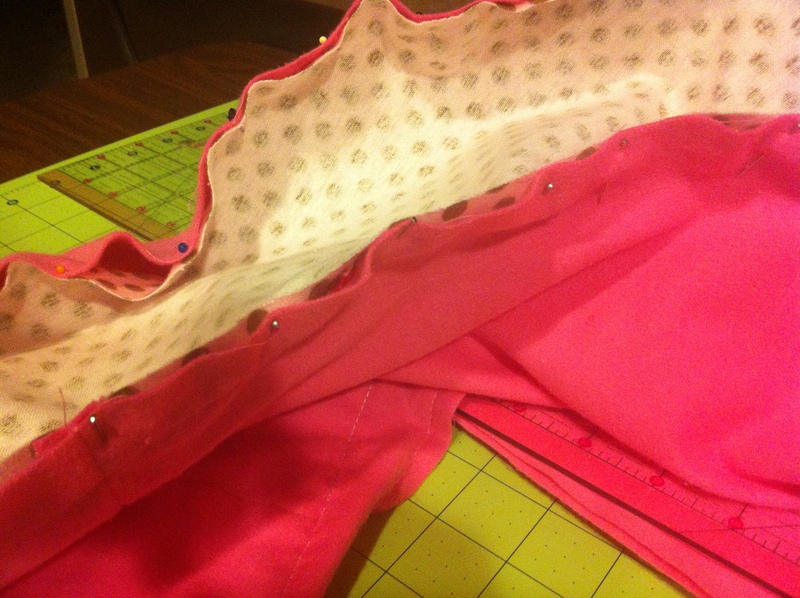 Remember to sew the pocket on the strip too before closing up the pillow. 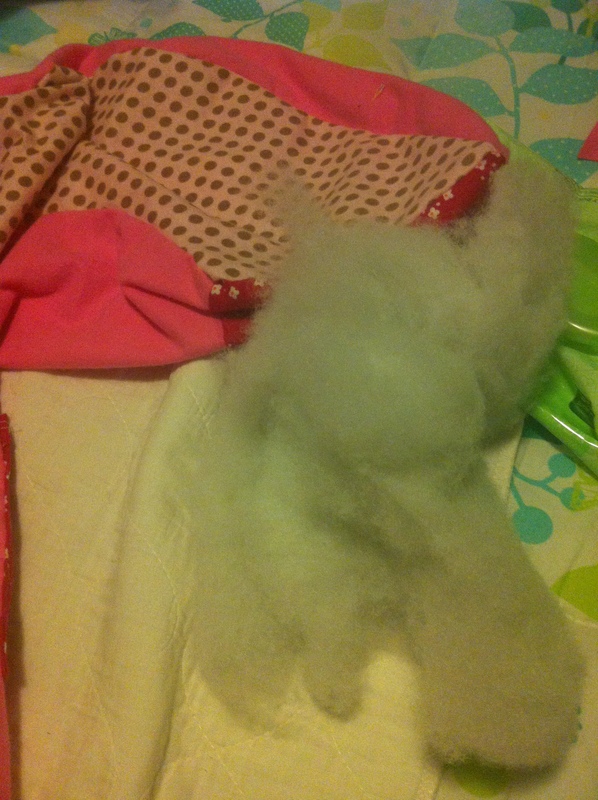 Stuff pillow – this took me 4lbs of fiberfill. Good thing I used coupons at Joann’s. Stuff it really full too. I think I could have used more. 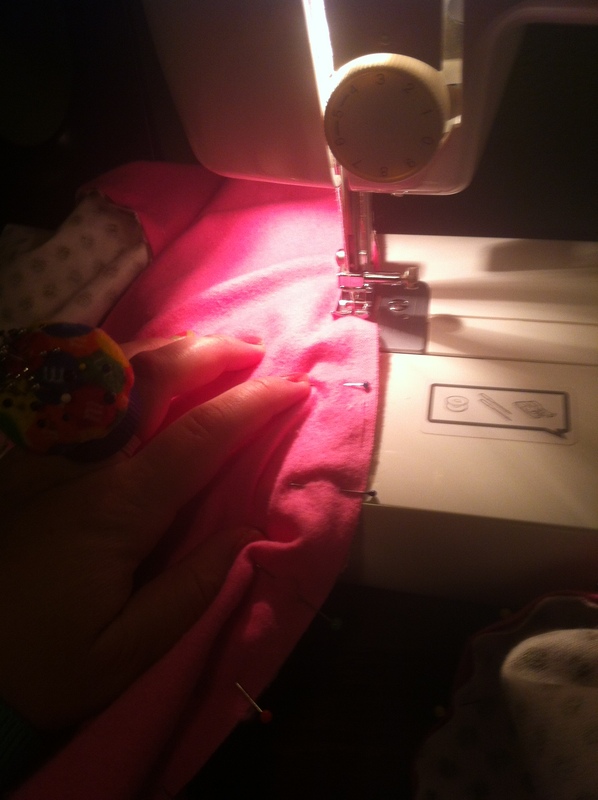 I hand stitched the opening shut. 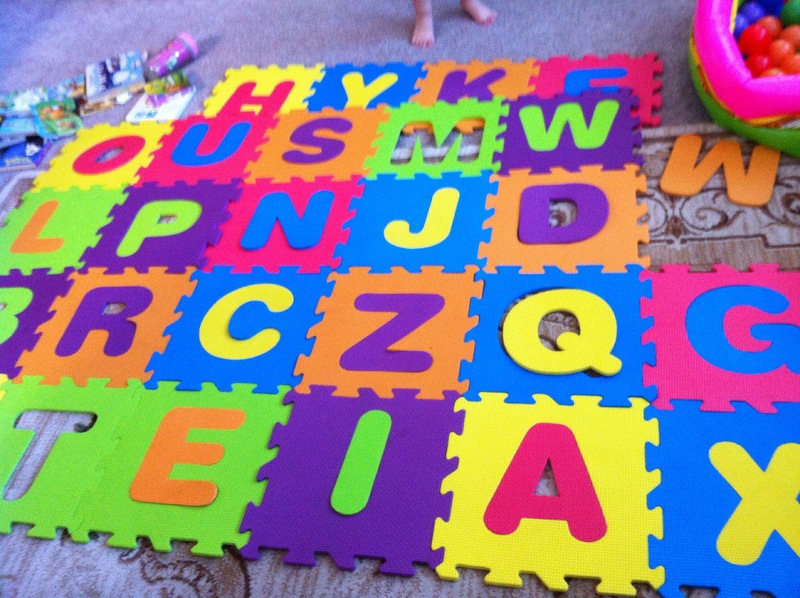 ABC play mats are so much fun in our house at the moment. Our LB is fascinated with letters especially from watching Super Why (a lot). As of now the main game we play is “What Letter is This?” Which she gets about 70% of them right and the ones she doesn’t know she calls them all “double-you”!! I do try to incorporate colors because of how colorful they are, but she is still interested in letters mostly. I’m sure there are plenty more, but this is our Play for the week. Also I won’t keep this out all week. First reason is because I would have to search for all the pieces at the end of the night and I just don’t want to. Second, if she only gets to play with it a few days in the week, I feel like it holds her interest longer. A lot of moms do the toy rotation and I like it too. My mindset is the toys that have a million pieces should only come out a 2-3 times a week. Have a happy Wednesday and Play!